The American Musky Innovations know how to trigger strikes from the most cautious predators! The Shad Clone is the perfect imitation of a small bream and was specifically designed for trolling for the biggest pike. 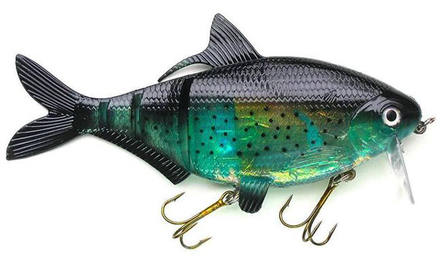 This slow sinking lure dives to 4 m and has a rattle for even more attraction. Hold on to your rods as the Shad Clone will trigger some aggressive strikes!